In July and September of last year, the Brazilian weekly television magazine Fantástico broadcasted news reports about NSA operations, while showing a series of slides from an unpublished NSA powerpoint presentation in the background. 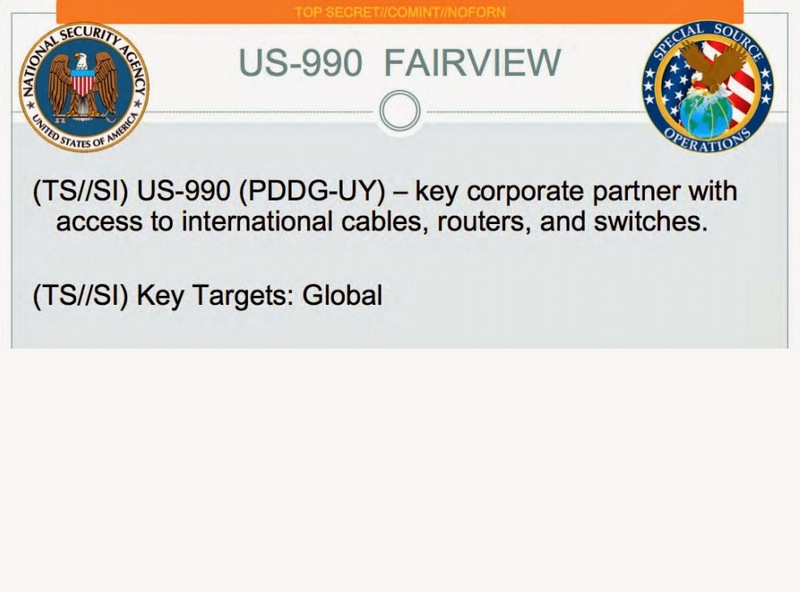 The slides seem to be about NSA's corporate partners for the "collection of communications on fiber cables and infrastructure as data flows past" - which became known as "Upstream collection", a term mentioned in one of the PRISM-slides. On twitter, Glenn Greenwald once said that these slides would also be published and explained separately, but so far this hasn't happened - that's why it's done here. 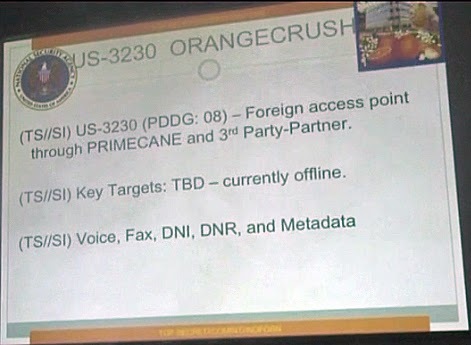 Almost two years after these slides were shown on Brazilian television, the full NSA presentations to which some of them belong were finally published, as part of a report by The New York Times and Pro Publica from August 15, 2015. 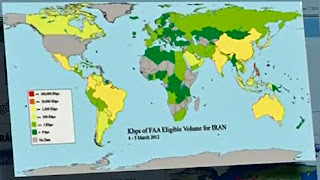 The first series of slides was shown in a Fantástico report from September 8, 2013. 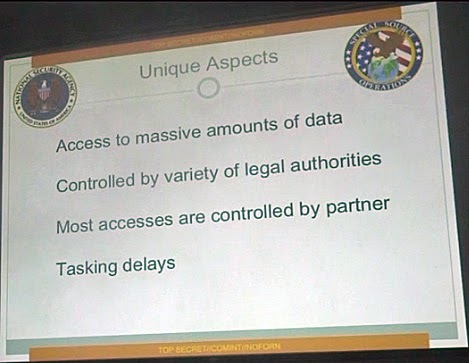 These slides are posted here in the order in which they were seen in the report, which might be the order of the original NSA powerpoint presentation. 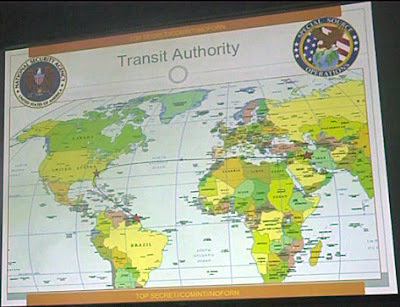 The slides show the logos of the National Security Agency (top left) and its Special Source Operations (SSO) division (top right). They are marked TOP SECRET // COMINT // NOFORN, which means they are classified Top Secret, in the compartment for Special (Signals) Intelligence and that it's not allowed to distribute them to foreigners, not even to the Five Eyes partners. 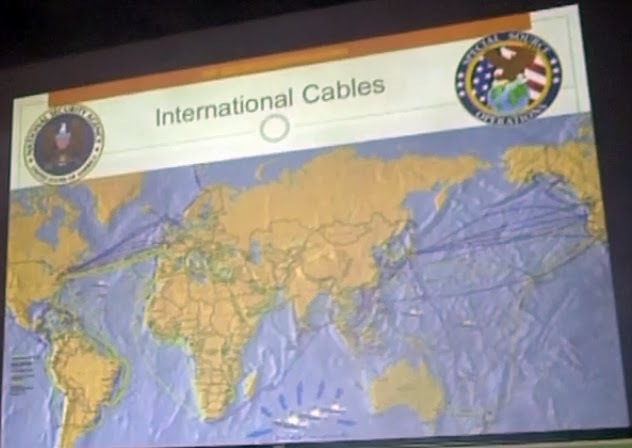 Probably one of the first slides of the presentation shows a map of "optical fibre submarine networks", which was prepared by the telecommunications company Alcatel Lucent in 2007. Based upon dates in some of the slides, this NSA presentation seems to be from late 2011 or early 2012. The next slide is about the Transit Authority, which is the most mysterious of the four legal authorities that govern NSA operations. Until now, it's not clear what the legal basis of the Transit Authority is. One option is a secret presidential directive signed by Bill Clinton or George W. Bush, another option is that this method was authorized by the FISA court. The actual intercept facilities are probably located at sites of telecommunication companies or collection is done with their assistance. 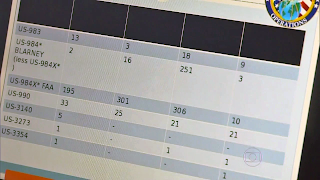 There are delays between the tasking, which is when an analyst orders particular information to be collected, and the actual collection of those data. The following slides show details of a number of different programs involved in the Upstream collection. For each program there's the SIGINT Activity Designator (SIGAD), the Producer Designator Digraph (PDDG), the legal authority, what is collected, the key targets and in some cases a custom logo for the program. There are no slides with details about DARKTHUNDER, STEELFLAUTA, ORANGEBLOSSOM, BLUEZEPHYR and COBALTFALCON. ORANGECRUSH was not active at the time of the presentation, but was intended to collect internet and telephony content and metadata at an intercept facility outside the US in cooperation with a corporate partner codenamed PRIMECANE and a 3rd Party partner agency. According to the book 'Der NSA-Komplex' by Spiegel journalists Marcel Rosenbach and Holger Stark, ORANGECRUSH is a cooperation with an American high-tech company and a Polish intelligence agency to collect metadata and content related to the Middle East and Afghanistan from fiber optic cables in Europe. This means PRIMECANE is the cover name of this American tech company and confirms that Poland is a 3rd Party partner of NSA. 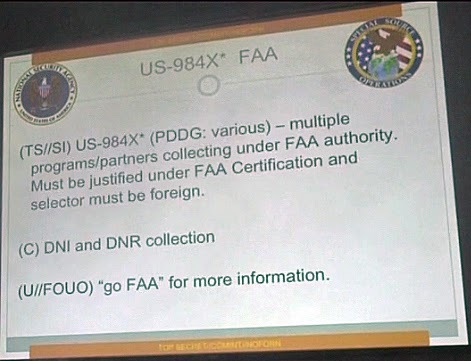 As this is under FAA authority, the intercept facilities and corporate partners are in the United States. 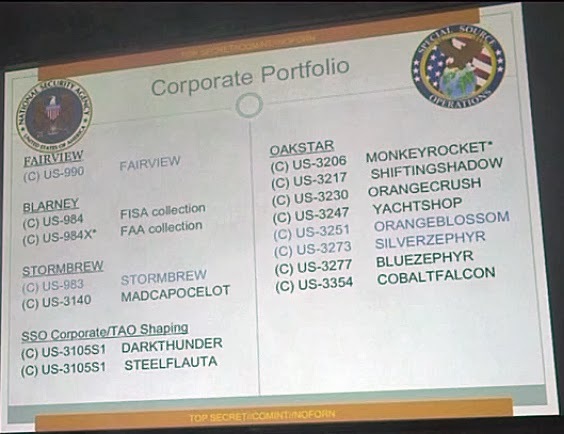 Maybe some of these partners are the ones with the codenames WOLFPOINT, ARTIFICE, LITHIUM, SERENADE and STEELKNIGHT, which are mentioned in other documents. BLARNEY is for collecting telephony and internet data under FISA authority, which means a FISA Court order is needed. 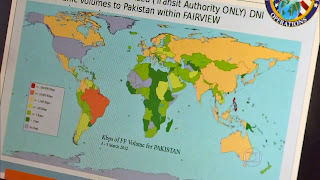 Main targets are foreign diplomats and governments, terrorists and economic targets. As collection is under FISA authority, the intercept facility is in the US. According to the Wall Street Journal and confirmed by Marc Ambinder, BLARNEY stands for cooperation with AT&T. MADCAPOCELOT is for collecting internet content and metadata focussed on Russia and European counter-terrorism. Collected data are processed and analysed by XKEYSCORE with metadata being stored in MARINA and content in PINWALE. 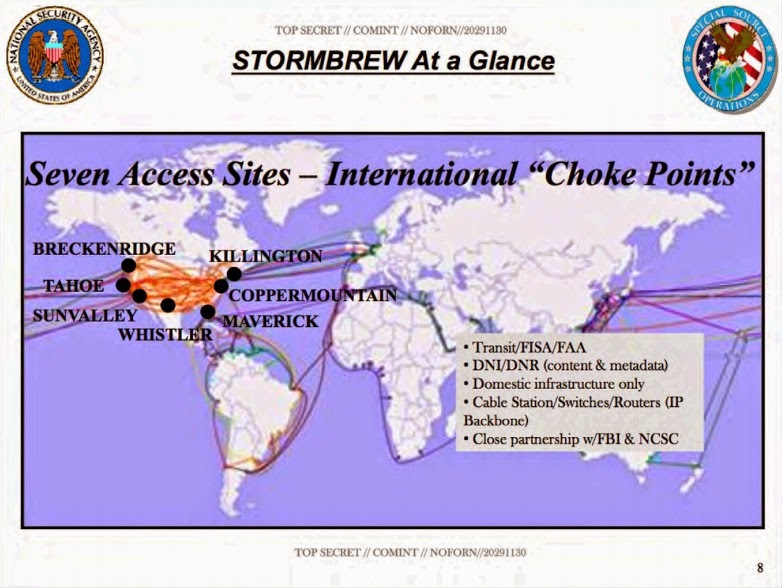 As the program is operating under EO 12333, the intercept facility must be outside the US. 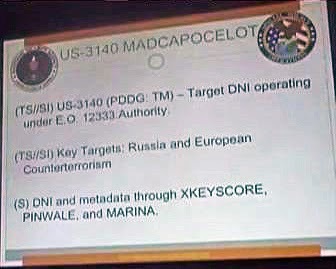 For reasons unknown, MADCAPOCELOT is closely related to the STORMBREW program. In the book, Greenwald lists an additional site called QUAILCREEK. These cover names are real names of holiday and ski resorts, some of them actually even near the dots on the map. These locations correspond to the green dots in the previous slide, so the OC-3 cable in that map most likely connects these various collection sites to transfer the data to a central location. The grey dot might then be an intercept site that is not active yet/anymore and "Site C" maybe the location where the centralized "Collection" takes place. 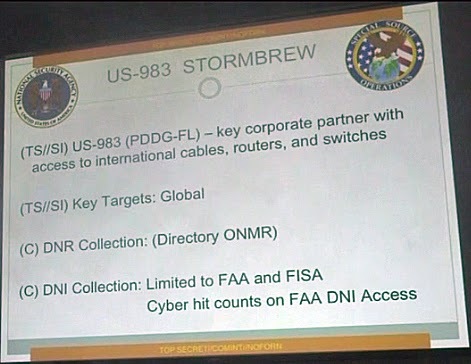 STORMBREW is for collecting internet data under FISA and FAA authority and telephony data according to a certain directory. With collection being authorized under FISA and FAA, the interception takes place in cooperation with a major US telecommunications provider with access to international cables, routers and switches. 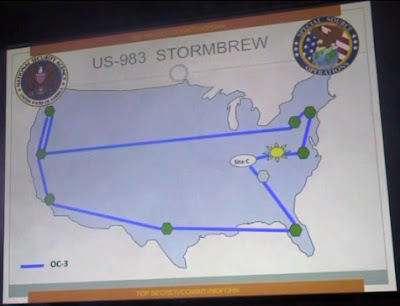 According to NSA historian Matthew Aid, the provider codenamed STORMBREW is Verizon. 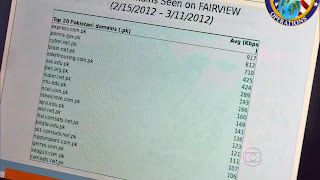 FAIRVIEW is for collecting internet and telephony data and is a "key corporate partner with access to international cables, routers and switches" just like STORMBREW. 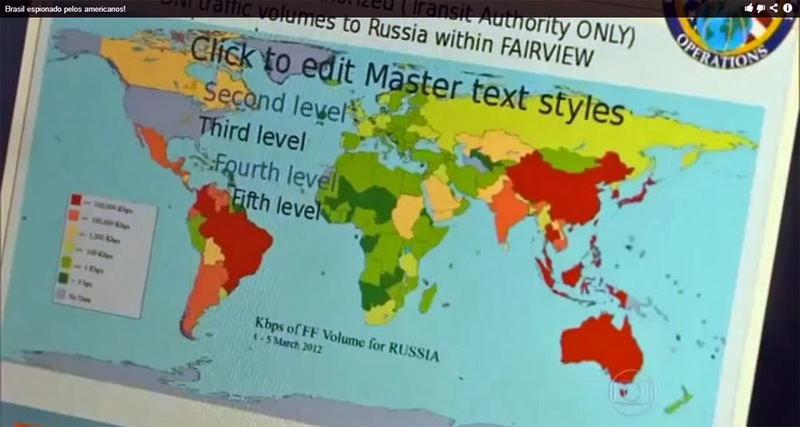 The slide below was published in 'No Place To Hide' but with the bottom part removed. From a similar presentation we know that there it says that under FAIRVIEW, internet collection is limited to "port 25 collection", which means e-mail, and telephony collection uses the mysterious "Directory ONMR". Slides from this other presentation will be posted on this weblog separately. 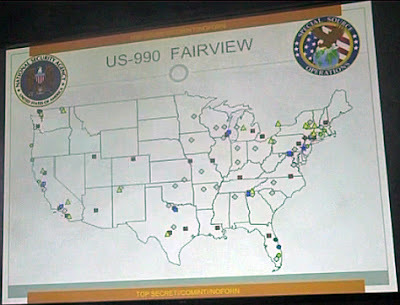 Former NSA official Thomas Drake told DailyDot.com that FAIRVIEW is a highly classified program for tapping into the world’s intercontinental fiber-optic cables. It's an "umbrella program" with other programs underneath it. 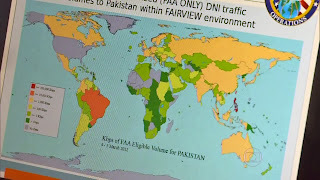 One of them is BLARNEY, which accesses internet data at key junctions and is facilitated by arrangements with commercial cable companies and internet service providers. According to The Guardian, the real names of the corporate partners mentioned in various of these slides are so sensitive that they are classified as Exceptionally Controlled Information (ECI), which is "a higher classification level than the Snowden documents cover", thereby suggesting that he had no access to that kind of information - although a regional German paper was able to publish the real names of seven major submarine cable companies (but they had GCHQ covernames). In the Upstream slides we see partners codenamed STEELKNIGHT, BLUEANCHOR and PRIMECANE. In other documents, WOLFPOINT, ARTIFICE, LITHIUM and SERENADE are also mentioned as covernames for corporate partners. Most likely all four are American companies. 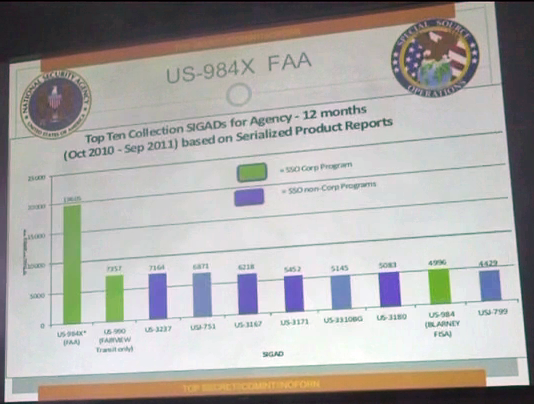 Another series of slides was shown in a Fantástico report from July 9, 2013. Maybe they are from another presentation, but because they have the same layout and are also about "upstream collection" it's also possible they belong to the series posted above. 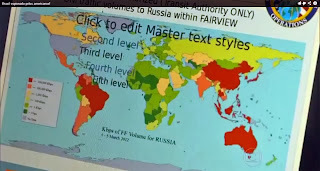 This series contain a number of maps, which, according to Brazilian media, show the amount of exchanged messages and phone calls (although actually DNI only refers to internet traffic) by various countries in the world with North Korea, Russia, Pakistan and Iran on March 4-5, 2012. An article in the French paper Le Monde from May 8, 2014 lists a number of targets of the Upstream collection method during a month in 2013. 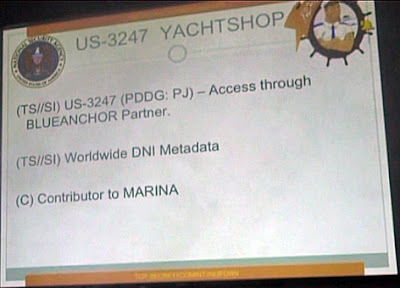 These targets included the vice president of the Philippines Jejomar Binay; the interior minister of that country Manuel Roxas; the Ensenada Resort & Convention Center in Tela, Honduras; the International Centre for Theoretical Physics (ICTP) in Trieste, Italy; the American att.net and the Austrian chello.at e-mail domains, as well as the stc.com.sa top-level domain of the Saudi Telecom Company. 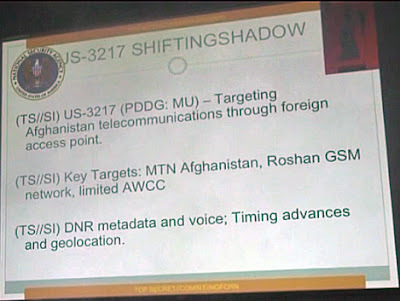 Finally the Pakistani IT security firm Tranchulas and the Lybian International Telecom Company were mentioned as being targets of NSA. Brazilian television showed this slide uncensored with the names visible, but here we blacked them out. 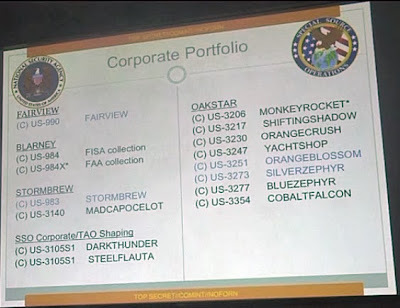 STORMBREW was managed by Stu Bathurst,so was “OCELOT” only OCELOT is not revealed (perhaps removed from ?) the above slide. Those names were blacked out by me, because here I want to respect the privacy of ordinary people, regardless of where they are working. I think it's a bit hypocrite to demand privacy for every citizen, but at the same time excluding people who work for American intelligence agencies. OCELOT is actually MADCAPOCELOT - before the slide posted in this article became available, there was an image in which this slide was only partially visible, making the first part of MADCAPOCELOT unvisible.